In the era of ‘AI’ and Machine Learning, it seems strange to be talking about a technology that was invented in 2002. But, what started as a corollary to RFID has evolved into a full-fledged technology of its own. NFC or Near Field Communication enables compatible devices to communicate over short ranges. At any given time, one device must transmit information while the other has to receive it. Passive NFC – includes NFC tags, small transmitters. They are known as passive NFC devices because they do not need a power source. Active NFC – Devices that are able to send as well receive data are known as active NFC devices. The best example of such devices is a smartphone. 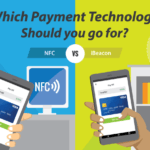 Where is NFC headed in the future? The NFC market is expected to grow 17.9% over the next 10 years. A significant reason for the growth is the fact that Apple has started backing NFC. NFC is a great alternative to QR codes in 2019. If the consumer base primarily uses Android smartphones, NFC stickers and keycards make more sense. NFC stickers from Beaconstac give you an added advantage – They have an extra layer of QR code on top combining two technologies into one product. This allows businesses to cater to both iPhones and Android users. Alternatively, if you have a brand app, you can use beacons to deliver a rich native app experience as an alternative to QR codes. QR codes are more versatile when it comes to functionality compared to NFC tags. However, the majority of the use cases can be implemented using both NFC and QR. Consumers are aware of the action of tapping and making cardless payments but often don’t know that it is powered by NFC technology whereas they are more aware of QR codes and how to scan them using the camera app. Both NFC and QR are great ways to deliver app-less proximity marketing campaigns. Check out the best NFC and QR code use cases. Can iPhones read NFC tags? Until 2017, Apple only allowed iPhones to use NFC for payments but with iOS 11, third-party developers can finally have iPhones read NFC tags. Some of the older models like the iPhone 8 and X still need an app to read NFC tags whereas the newer models, XR, XS, and XS Max do not require an app. Most Android devices don’t need an app and already natively support NFC. As a matter of fact, over 2 billion NFC-enabled devices exist in the world across all the major mobile OS. That is why NFC is expected is going to explode in the next 5 years. NFC is synonymous to cardless payments but it can do so much more than that. As a tool for proximity marketing, NFC has been used by big brands and small businesses to promote products and improve the in-store experience. Given that the NFC market will be worth $50 billion by 2025 according to the NFC forum, it is time to include NFC in your marketing arsenal. Not sure where to start? Read about what brands have done with NFC and how you can implement it too. Magazines and OOH advertising can easily have an NFC enabled advertisement for consumers to tap and know more about the product. Back in 2012, Wired had a full-page Lexus advertisement that encouraged readers to use their smartphone to read the tag. Once the tag was read, the web browser opened a URL which played a video harping on the features of the Lexus Enform App Suite. NFC tags are also available as stickers that can be easily stuck on posters, flyers or around the store along with compelling copy that encourages users to tap their NFC enabled smartphone and know more about a product. This works particularly well if you wish to engage with customers walking by your OOH advertisement. Domino’s did this exceptionally well by launching an OOH advertisement to get users to download their app. Nike has offered its customers the chance to win exclusive gifts by purchasing the Nike NBA Connected Jerseys and Chelsea FC Jersey. A brilliant idea that allows them to push their new line as well as engage with customers in a radical way. To unlock the gifts like courtside seats, autographed jerseys and early access to products, all one has to do is download the NikeConnect app and tap the NFC tag on the jersey to get started. Campari America, US distributor of Wild Turkey bourbon and Skyy vodka, has launched special refrigerator magnets called ‘Campari on Tap’. These magnets are equipped with a special NFC chip that allows consumers to open the product page on Drizly, online alcohol store, and order Campari brands to be delivered at home. SMBs can easily replicate this use-case by allowing customers to tap NFC tags in-store that takes them to an online store and add products to their cart and have it delivered. NFC-enabled products are the bane to increasing customer loyalty and adding new customers. A UV sensor launched by L’Oreal can be stuck on the fingernail by consumers to gauge how much time they have been spending in the sun. The sensor is NFC-enabled so when users scan the sensor through the app gives them a score that lets them know if they are spending way too much in the sun. That’s not all. The app also recommends L’Oreal products based on the skin score. The sensor is reusable and can be snapped on to other items as well. L’Oreal’s NFC-enabled sensor is a subtle yet clever way of getting consumers to download an app and serve up product recommendations. An app can also pave the way for in-store beacon notifications which are highly contextualized. Lego has created ‘Dimensions’ for XBOX 360 and PlayStation 4 with NFC-enabled pieces of its plastic bricks to brings toys to life. Children can interact with the Lego pieces increasing the playtime and adding value to the product. Children can place the mini-figures on a USB Toy pad to control their characters in the video game. This is a perfect example of merging the physical world with virtual reality. SMBs and big brands can take cues from Lego to create an interactive product experience for consumers consequently extending the life of a product. Adidas has partnered with Parley, an environmental organization committed to cleaning up the oceans, to create a new line of products called Adidas Parley which does not use any virgin plastic. The entire line is NFC-enabled so that consumers can learn more about the project and contribute to the movement. Coupling the technology with a social cause has definitely helped the sales of the Adidas Parley. Given that, 87% of consumers purchase products because a brand advocates for an issue they care about, an NFC-enabled product line hits it right out of the park. An NFC-enabled product can even spark further product recommendations like DYNE’s M-65 Jacket that allows you to take a peek at the brand’s backstory, access a complete lookbook and purchase add-ons. Couple NFC with an app and you open the gateway to beacon capabilities which can boost your conversion efforts by 240% and is set to grow at a staggering CAGR of 29.8% and will be worth $52.46 billion by 2022. SMBs and brands that realize the power of connected marketing and spreading out their proximity marketing efforts over various channels like NFC, QR codes and beacons will see a tremendous increase in engagement, growth rates, and revenue. 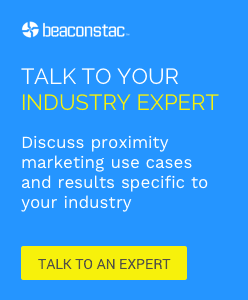 Connect with Beaconstac to develop a comprehensive end-to-end proximity marketing solution with NFC that you can run without a developer’s help.